South Melbourne Primary School integrates community services alongside education. Image: Chris Matterson. 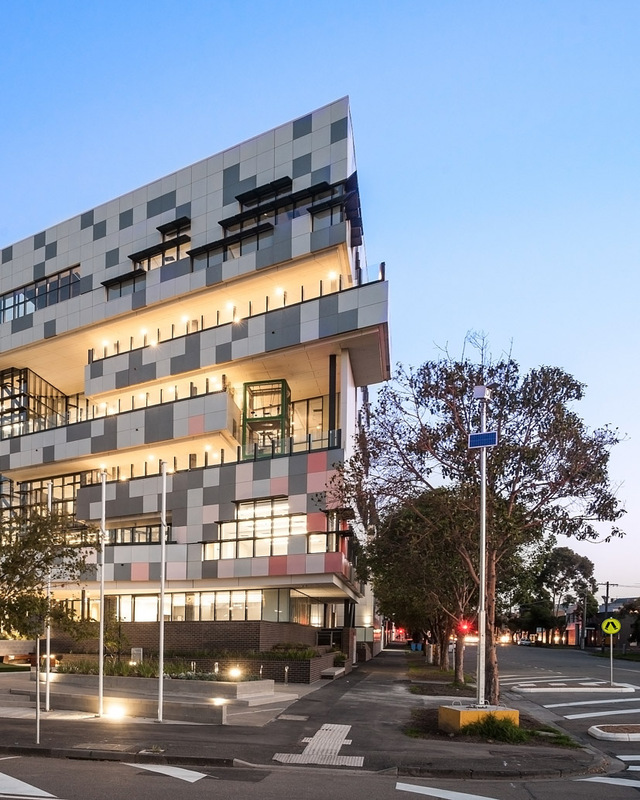 A new primary school in South Melbourne does away with the formal conventions of schools past to create a school shaped for the 21st-century city. Australia is subject to regular bouts of hysteria over child safety, so you would imagine a school that does away with fences might raise a few eyebrows, if not hackles. 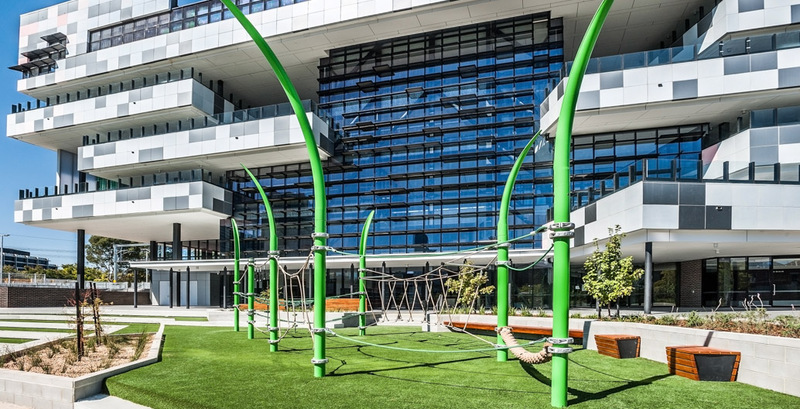 But an award-winning primary school in Melbourne’s inner-south has managed to do just that, to create an educational environment shaped for the close-quartered, communal life of the 21st-century city. 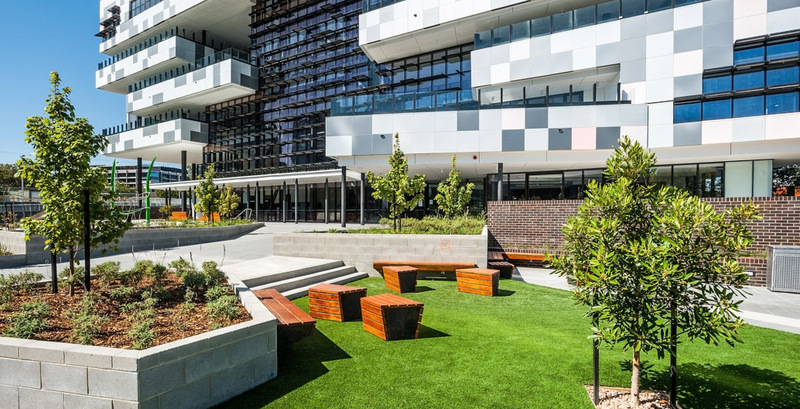 South Melbourne’s plaza-facing terraces combine learning and play spaces. Image: Chris Matterson. 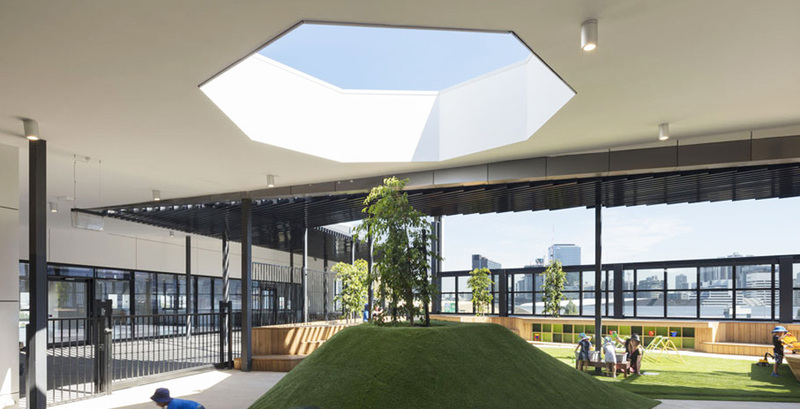 South Melbourne Primary School was designed by Hayball in collaboration with landscape architects Tract Consultants and is Victoria’s first ‘vertical school’, with learning spaces spread over six storeys in a tight inner-city block measuring 5000m2. 2018 has seen it welcome its first cohort of 525 students. The school combines community services and schooling in the one space. As such, the notion of a “hard” border between the school and its surrounding area was dropped in order to create a public facility that would invite the community in. The site’s amenities include indoor and outdoor sports facilities for community-use (outside of school hours), a new kindergarten, consulting rooms for the council’s maternal and child health service, and bookable multi-purpose rooms for general community use. The focal point of these co-located services will be the site’s “civic plaza”, an area that normally would have been home to the school’s playground. Instead, this undulating square – taking up about a third of the site’s footprint – encourages parents and children to linger, with a mixture of open lawns, stepped concrete terraces and playspaces connecting the building to adjacent streets. But the school won’t be the only site providing new open space to the area. Spanning 8000-square-metres Montague Community Park is currently under construction, sitting directly across from the school, which also happens to be another project by Hayball and Tract. While that park won’t be under the sole ownership of the school’s pupils, efforts have been made to reduce the feeling of open green space being defined with “hard” borders. Tract worked with Hayball to weave green throughout the school’s six-storeys. What’s resulted has been informal “classroom” spaces, giving pupils spaces to hot-desk and play. One of the ways Lopez and the team address this was with an “ecology chamber”in a shaded area of the school. Here, pupils have the chance to interact with ferns and other plantings that function well in low-light. Plantings here reflect the landscape of the Dandenong Ranges, so that “students have exposure to ecologies that aren’t just in the inner-city,” says Lopez. The chamber isn’t the only part of the school that’s designed to multi-task, however. The school’s water sensitive urban design elements are put to work, too: “In this particular case, we had to think about the school’s educational legacy, so the stormwater filtration system was designed to be visible and legible for students if they were to use it as part of classes,” says Lopez. 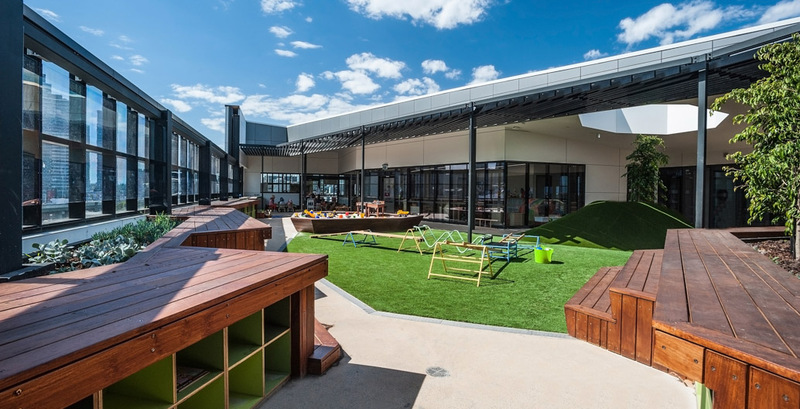 The early learning centre boasts tactile surfaces designed to get kids to engage with landscape. Image: Diana Snape. 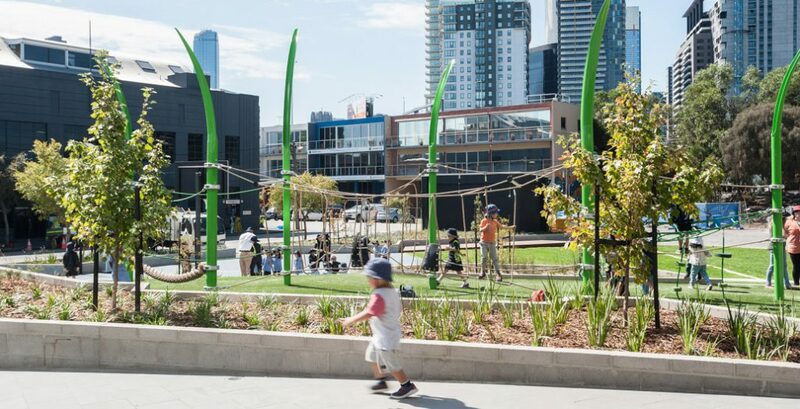 South Melbourne Primary School's ‘civic plaza’ greets pupils and visitors with subtle grade changes. Image: Chris Matterson. The civic plaza encourages parents and kids to linger with a fenceless playground. Image: Chris Matterson. Scattered throughout the rooftop are plantings that filter rainwater. Image: Chris Matterson. In 2018, Port Melbourne Primary School’s enrolment numbers would’ve jumped to 850 if South Melbourne PS wasn’t ready by the start of the academic year. The municipal area around the school, Port Phillip, has been suffering from school population pressures for almost a decade, with the formerly working-class suburbs of Port Melbourne, South Melbourne, and Albert Park, ushering in young families moving into medium-to-high density apartments. With the closure of inner-city schools in the 1990s, primary schools in the area are struggling to meet enrolment demand. In 2018, Port Melbourne Primary School’s enrolment numbers would’ve jumped to 850 if South Melbourne wasn’t ready by the start of the academic year. As part of the Andrews Labor Government’s Education State strategy, about $2.8 billion has been invested in the construction or upgrading of schools, with South Melbourne Primary School being one of 64 new schools coming to the state. What makes South Melbourne different, however, is how it challenges preconceived ideas of what a school could be. A stepped terrace is borders the eastern side of the school, sitting adjacent to a tram stop. Image: Chris Matterson. 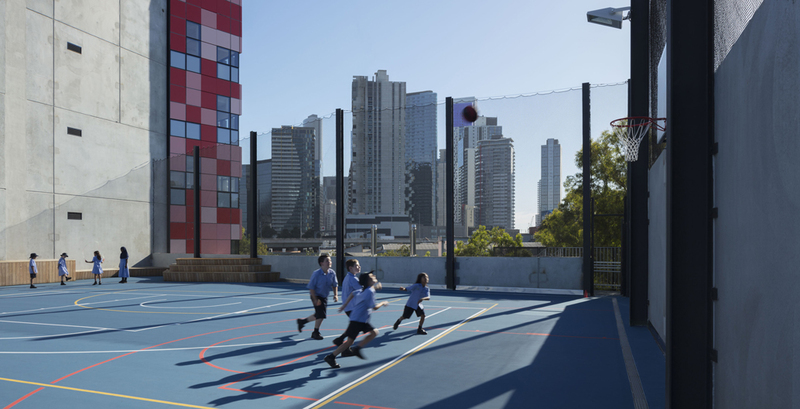 The school's outdoor sports courts make the most of rooftop space. Image: Diana Snape. 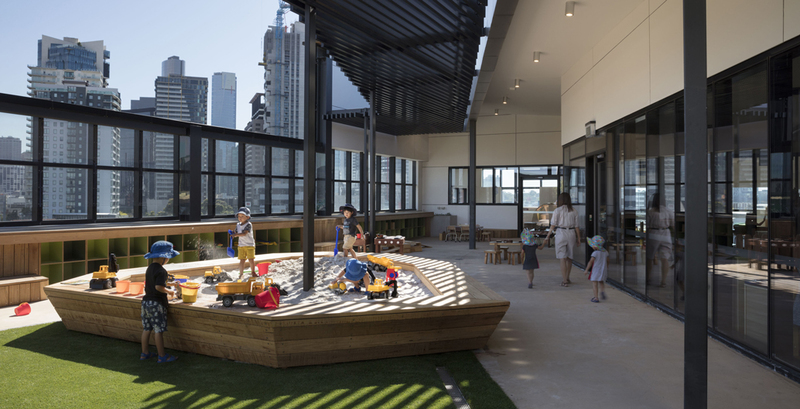 The school's early learning centre sits atop the primary school, giving the sand-pit city views. Image: Diana Snape. 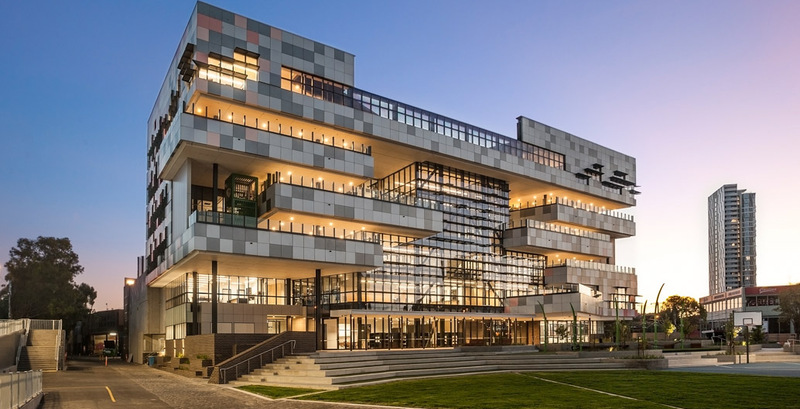 As opposed to the historically modernist, rational organisation of schools in Victoria, this school signifies a sizeable shift, not only in what schools can be, but also how teaching and learning approaches have adapted to the demands of the 21st century. Here, the school presents a rich case study that recognises sensual, as well as rational, cognition as part of the schooling process. The South Melbourne Primary School also seems to have taken the adage “it takes a village to raise a child”, to heart. Stay updated with South Melbourne Primary School here.